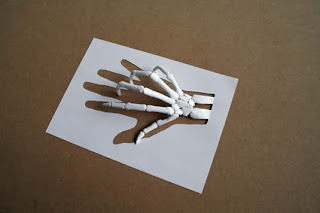 In the spirit of paper art this week, look at these paper sculptures created by Peter Callesen, made with plain A4 sheets. He likes the A4 size because it is the most common medium for transmitting information and most people never notice its materiality. 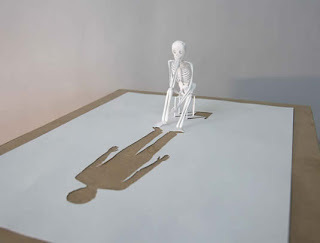 His uses inspiration from fairytales and the contrast between dreams and reality to craft delicate sculptures that bring to the attention to the frailty of the paper. Peter uses these blank white paper sheets to explore the possibilities between the 2- and 3-dimensional. 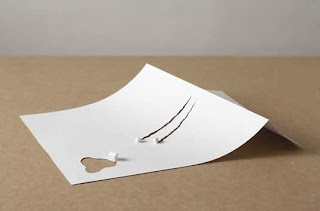 While we may first see the 3-dimensional sculpture, we also notice that the it is left bound to the paper and can be contrasted with the negative 2-D cut-out shape it leaves behind. What impresses me about Peter Callesen's work is his ability to execute so intricately these abstract concepts using such a simple and seemingly mundane medium. I am inspired by his dexterity and patience to manipulate the 2-D shapes into astonishingly detailed 3-D sculptures. 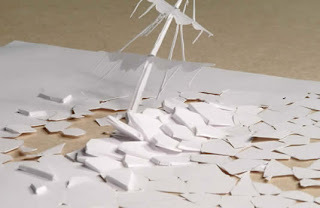 You can check out more of his work, as well as his paper installations that are much MUCH larger than the standard A4 at his website below. 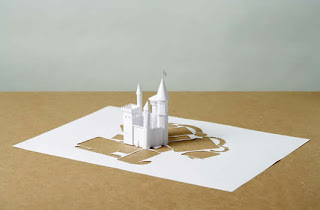 One thing I find interesting in the work featured in this and the last post is how these two artists utilize the versatility of paper differently. I've been drawing for such a long time now, but I've never really thought too much about the medium I draw on—paper. There are so many things we can do on paper, but now I find that there are even more things we can do with paper! Artists like these inspire me to do more crafts and make more things with my hands. Besides drawing in 2-D, what kinds of crafts do you like to do? What kinds of things do you want to do more of? 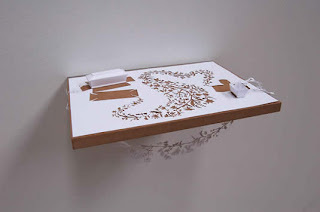 Would you like to see more projects on this blog like the snowflake one?